Pakistan troops also resorted to firing and shelling along the LoC in forward areas of the Poonch district, the officials said. JAMMU: An Army porter was killed Friday when Pakistani troops continued ceasefire violations for the fourth consecutive day along the LoC in Rajouri and Poonch districts of Jammu and Kashmir, prompting the Indian Army to retaliate, officials said. Army porter Hemraj was critically injured when Pakistani troops resorted to unprovoked firing in Sunderbani Sector of Rajouri district, PRO Defence Lt Col Devender Anand said. He was provided immediate resuscitation and medical aid, but he succumbed to the gunshot wounds, he said. The Army will provide all possible assistance to the family of martyred porter, the PRO said. Indian troops guarding the borderline retaliated strongly, resulting in exchange of firing on the both sides, they said. The year 2018 had witnessed 2,936 ceasefire violations by Pakistan along the Indo-Pak border, the highest in the last 15 years. The continuous shelling and firing by Pakistan targeting villages has set in fear psychosis among the border dwellers, the officials said. Pakistani troops resorted to firing and shelling along the LoC in Poonch eight out of ten days of this month, they said. On Thursday, Pakistan resorted to firing and shelling in two sectors of Rajouri and Poonch resulting in injuries to an Army major and a BSF jawan in the Tarkundi forward area of Balakote sector. 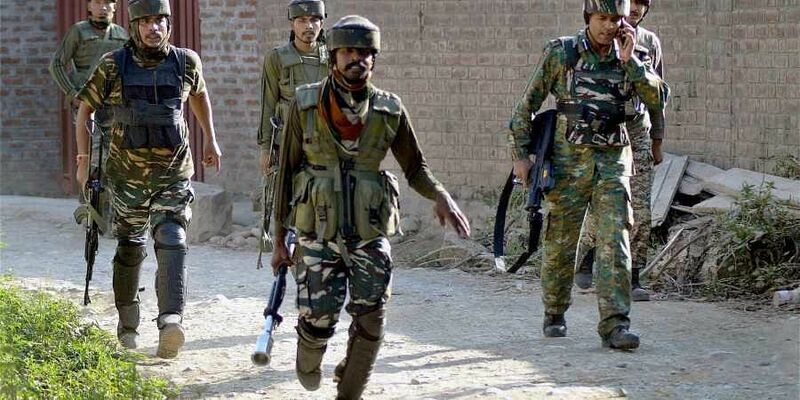 On Wednesday, Pakistan troops resorted to firing and shelling in the Kalal forward area in Nowshera sector of Rajouri district and small arms and heavy caliber weapons besides shelling in Poonch sector, the officials said. Despite repeated calls for restraint and adherence to the ceasefire understanding of 2003 for maintaining peace and tranquility at Indo-Pak flag meetings, Pakistan continues to violate the ceasefire, they said. General Officer Commanding-in-Chief, Northern Command, Lt Gen Ranbir Singh had on Monday visited forward areas along the LoC and reviewed security situation of Jammu and Rajouri districts. Lt Gen Singh accompanied by the White Knight Corps commander Lt Gen Paramjit Singh also visited forward posts of Rajouri and Akhnoor sectors to review the operational preparedness and the prevailing security situation, the officials said.